Yesterday, we went over to my in-laws for the 4th pre-funct. We had delicious hot dogs and Arnold Palmers with our sweet tea vodka. 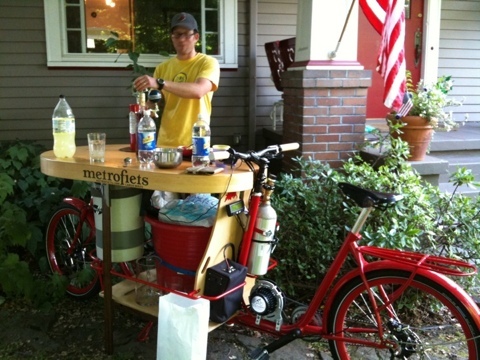 But the coup de gras was the beer bike. Awesome! And it has speakers to pump the jams. We rocked out to Brit then Neil Diamond.